30 November 2018, Melbourne: National environmental not-for-profit, Greening Australia, with their partners and supporters has won three prestigious Banksia Sustainability Awards overnight, including the Minister’s Award for the Environment for their program to improve water quality on the Great Barrier Reef. The top award in the Large Business category went to Officeworks in partnership with Greening Australia, and also to Bank Australia in partnership with Greening Australia and Trust for Nature. The Banksia Sustainability Awards were presented at a gala ceremony in Melbourne last night. Greening Australia CEO, Brendan Foran said the awards are an outstanding achievement and recognise the tremendous effort of the organisation’s staff, volunteers, partners and supporters. 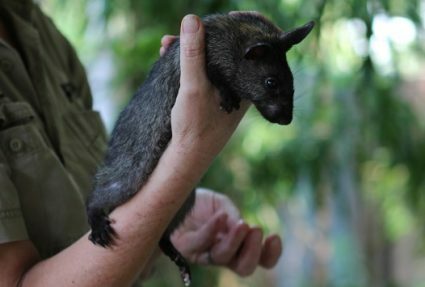 “These projects would not be possible without the combined efforts of our staff, partners and volunteers, which include local landholders, traditional owners, government and conservation groups. On behalf of Greening Australia, I would like to extend our sincere gratitude to everyone who has contributed to winning these awards,” he said. The University of Tasmania in partnership with Greening Australia were also finalists for an Academia and Research Award. The Banksia Sustainability Awards, now in their 30th year, recognise outstanding sustainability initiatives across Australia. This year’s awards were aligned for the first time with the United Nations Sustainable Development Goals (SDGs). The Minister’s Award for the Environment recognises Australians for their commitment and work to protect and manage the health of the Great Barrier Reef, focusing on projects that have used partnerships and collaborations to deliver superior results. Greening Australia’s Reef Aid program, which launched in 2016, is working with landholders and partners across key catchments to improve water quality on the Great Barrier Reef by rebuilding eroding gullies and restoring vital coastal wetlands. 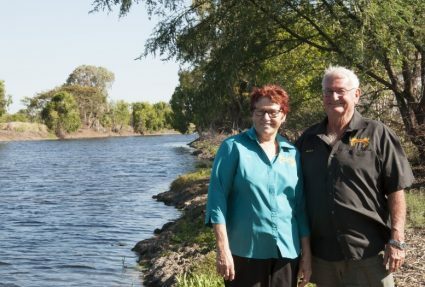 Just two years in, Reef Aid is already achieving significant results, with a trial at Strathalbyn Station in the Burdekin Catchment reducing sediment loads by 97%. 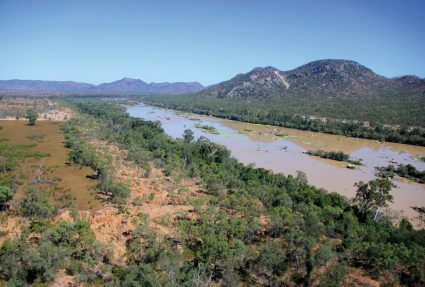 By 2030, Greening Australia aims to restore 2,000 hectares of eroding gullies to prevent 200,000 tonnes of sediment from polluting the reef every year. The 927-hectare Bank Australia Conservation Reserve in Victoria’s Wimmera region provides habitat for a diversity of native plants and animals including 13 threatened species like the South-eastern Red-tailed Black-cockatoo. In 2017, Bank Australia developed a new ten-year conservation strategy for the reserve in partnership with Greening Australia and Trust for Nature. Greening Australia are now working with the bank to help bring this bold vision to life. 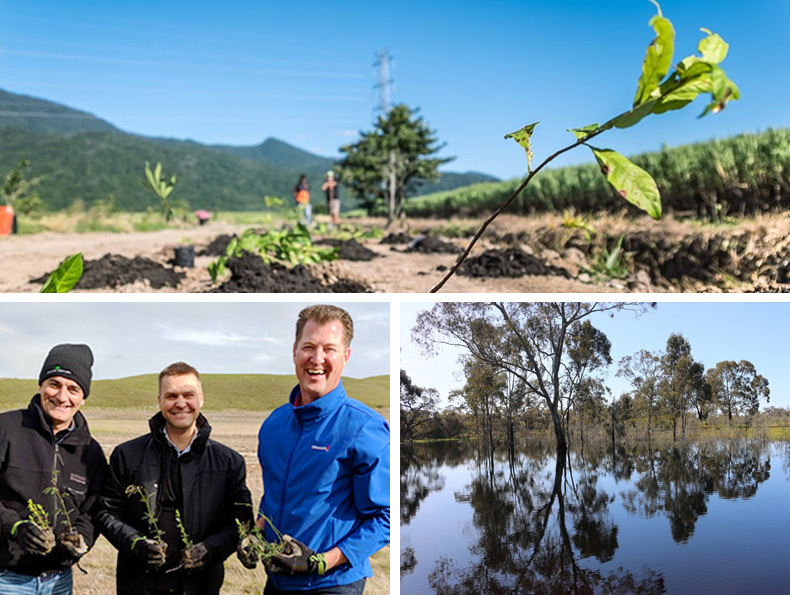 Restoring Australia is an Australian-first initiative that sees two trees planted for every one used, based on the weight of paper-based products purchased by customers at Officeworks. In 2018, the initiative saw a significant 326,000 trees established across 650 hectares in some of Australia’s most vulnerable landscapes including the Tasmanian Midlands, Victorian Volcanic Plains and Kangaroo Island.